Babies and politicians have gone together since way back in President Andrew Jackson's day, in 1833. Although not kissing a baby has never been proven to cause an electoral defeat, no one wants to take a chance. But as Mayor Pro Tem Alex Saab discovered, you can't please 'em all. 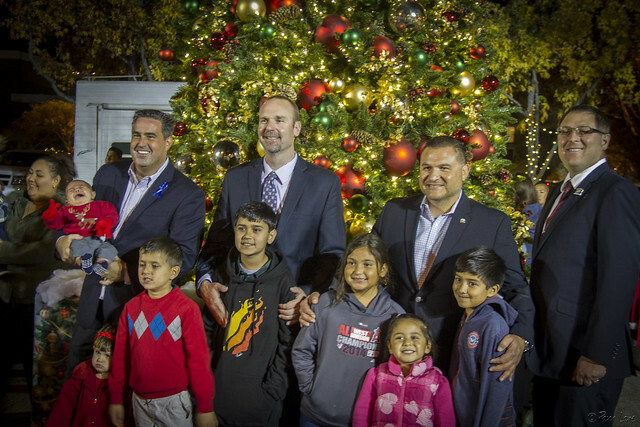 Council Member Roger Brossmer, Mayor Luis Marquez, and Council Member Sean Ashton had better luck with their crowds at tonight's Christmas Tree Lighting Ceremony.